The Callaway Rogue Draw driver combines the power of Jailbreak Technology and X-Face VFT Technology to promote high ball speed and long distance while added weight in the heel moves the CG inward, enhancing gear effect on open-faced impacts to minimize slice-spin or promote draw- spin. With the help of Boeing, Speed Step Technology has been improved by redefining the geometry of the leading edge to improve airflow for faster head speed. 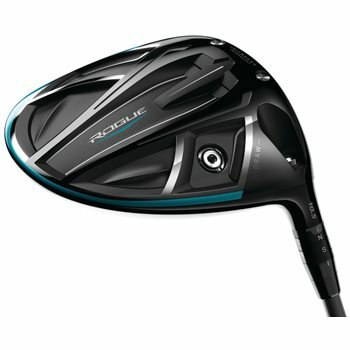 The Rogue Draw features the largest ever carbon composite crown surface area in a Callaway driver and new high-MOI shape with larger address footprint to increase stability and forgiveness.